To Fit Your Exact Needs. It is a customisable platform where your company create, publish, upload and manage online content according to your unique business needs and objectives. The contents could be pages of information on your organization to large inventories showcasing your products for online sales. No matter the function, we commit effort and time to fully understand your purpose before we propose a suitable CMS for successful and smooth implementation. CMS makes the job whole lot easier for your company’s internal team as no knowledge of programming is ever required; any coding is replaced with a user-friendly, point-and-click interface. CMS allows for prompt updating as it can be quickly accessed anywhere. Such efficiency effectively increase speed-to-market and effectiveness of communication to target audiences. It also leads to reducing overhead costs and resultantly, improving the bottom-line. The platform is highly scalable, well-prepped to expand and grow along with your business. Your business expands, and so does your product catalogue. A CMS allows you to increase your product listings limitlessly with no extra charges. In the long run, it will lower the overhead costs of your business and increase your profits. Your team could keep your business website because the steps have been simplified to the least. Most updates could be executed with a WYSIWYG (What You See Is What You Get) user interface editor, eliminating the need for HTML knowledge. Our CMS are designed to be search engine-friendly. The site administrator can easily assign meta keywords and description and a dynamic page title will then be assigned by the system. The CMS allows for new functions to your site and many built-in modules are available such as Forum, Download Manager, Blog, Photo album, Events calendar, etc. These are big savings as compared to custom development. Having online presence allows any interested party to visit your site for more information. In comparison to static websites which merely display products, services and an address, you would have an interactive website which stays updated with latest information critical to improving your company’s image and reach. As the system is web-based, you now have the convenience of updating your website as and when needed. This gives you a competitive edge over your competitors. Cutting through the advertising clutter, keep your customers, leads, suppliers and media directly informed of your latest developments with an easy mass mail feature. It is a personalised way of reaching out to those who matter. Giving The Results You Want. A well-managed CMS speaks volumes about your business and brand. It is your “voice” and “face” to the general public. With the fickle-minded target audiences, an effective CMS is your best way to reach them. After all, 47% of internet users will view 3-5 web pages of a site before contacting the sales representative of the company. 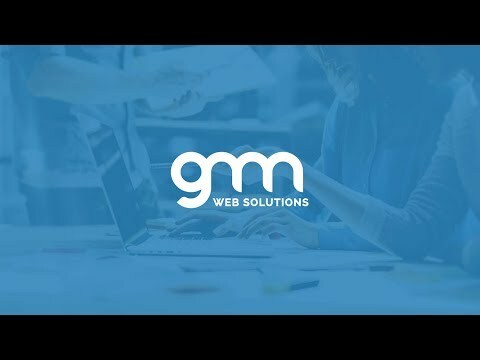 At GMN Web Solutions, we work smart to ensure that you get the most out of the CMS and its analytical prowess, optimising your website success. We work with you to select the perfect Content Management System (CMS) that fits your unique business needs and budget.